We've often wondered what clouds taste like. We'd most likely be horribly disappointed by the damp sensation of biting into a real cloud, but chomping on cloud-like candy floss makes us happy enough. Output: up to 7 servings/min (vary depending on floss size). High working efficiency: work continually and yield one per 10 seconds. Stainless steel scoop makes it convenient for refilling sugar into whirlabout. The floss adheres to the screening to make spinning a cotton candy cone very easy. A must for every cotton candy operator. For use with all floss pans. 1 x Candyfloss Making Machine. As the machine heats up, the central head begins to spin, forcing liquid sugar through its tiny perforations. The instant the threads of sugar hit the air they cool and re-solidify, causing a web of sugary threads to develop in the collection bowl. Kebab slicer. Laundry Sorter. They are not only incredibly stable, but also veryhygienic. With their smooth surface they both ensure that no candy floss will remain stuck to them, and that they are remarkably easy to clean. It spins sugar into bunches of fluffy cotton candy. Red - Cotton Candy Floss Maker. As the machine heats up, the central head begins to spin, forcing liquid sugar through its tiny perforations. The instant the threads of sugar hit the air they cool and re-solidify, causing a web of sugary threads to develop in the collection bowl. Kebab slicer. Laundry Sorter. Candy floss machine. The professional Candy Floss Machine RCZK-1500S-W from Royal Catering is specially designed for professional use andprepares the sweet treat with high precision. Kebab slicer. Laundry Sorter. Candy floss machine. The professional Candy Floss Machine RCZK-1030-W from Royal Catering is specially designed forprofessional use and can prepare the sweet treat withhigh precision. Kebab slicer. Laundry Sorter. Candy floss machine. 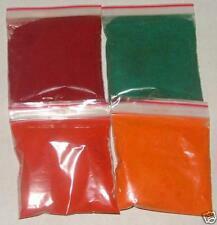 In only one minute you´ll be able to prepare one portion of candy floss (ca. 12 to 18 g sugar). During the production you´re rolling the candy floss on a stick and bringing it into the desired shape. Kebab slicer. Laundry Sorter. Candy floss machine. Bench can opener. During production you´re rolling the candy floss on a stick and bringing it into shape effortlessly. In doing so you can use your imagination as much as you like – your candy floss can be shaped into anything from flowers to animals. With a stainless steel pan and scoop, it’s easy to clean and maintain. Choose to use either hard candies or standard cotton candy flossing sugar. Watch as it spins into sweet candy floss. Collect the delicate webs of cotton candy on cones above the bowl. Kebab slicer. Laundry Sorter. Candy floss machine. The spinning head integrated in the pot ensures that the liquefied sugar forms into thin sugar threads through the rotating motions. A closed protective ring prevents the filled sugar crystals from being blown around. Condition: Brand New • Material: Aluminum, stainless steel • Color: Red • Net Weight: 2kg • Overall Dimension: 31L x 31W x 21H (cm) • Power Cord Length: 1.2m • Power: 450W • Power Supply: 220V-240V, 50/60Hz • Gross Weight: 2.5kg • Packaging Dimension： 33L x 25W x 25H (cm) • Accessory:3* Spoon（Blue） Spoon（Green） Spoon (Red) 6* bamboo sticks (Approx) Description • High quality stainless steel • Easy operation • High production, one candy floss is formed in short time • Energy saving • Ideal for home use at many events for fun or tasty • Anti-slip feet at bottom • Lightweight, ease to transport Package List:1*Home cotton candy machine 3* Spoon（Blue） Spoon（Green） Spoon (Red) 6* bamboo sticks (Approx). 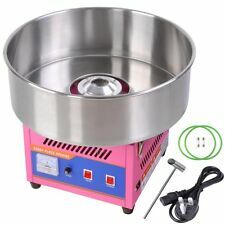 Now you can make your favourite candy floss treat in the comfort of your own home. 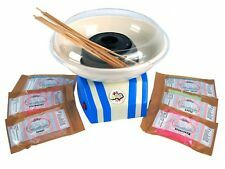 Add a spoonful of sugar in the rotating centre spool and collect the candy floss on your stick in minutes. A great item to have for yourself, for parties and guests. Approx. Product Dimensions: 18.6 x 30.2 x 31.2 cm. Kebab slicer. Laundry Sorter. 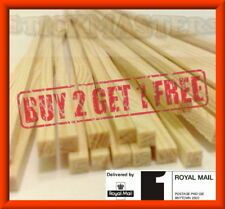 This set has been designed for professional use and has a high work performance. 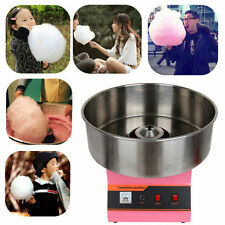 The cotton candy machine is the perfect gadget for all kinds of festivities. Candy floss machine.